This is a very basic starter kit. This UNO R3 starter kit is mainly suitable for beginners in ardu this area,especially secondary school education learning. This UNO R3 starter kit contains some commonly used electronic components. 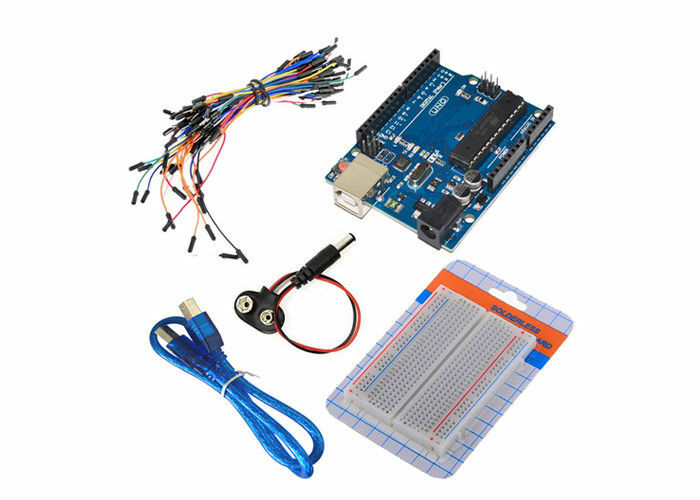 The kit includes UNO R3 board, jumper wires, 9v battery snap and breadboard. You can do some DIY interesting experiments with other module.